Are you facing issues regarding the storage on your smartphone? Worrying about downloading the applications or updating from the Google Play store. Cool! From now you don’t have to concern with those issues. Google has recently announced about the shrinking the size of the application and also the updates. 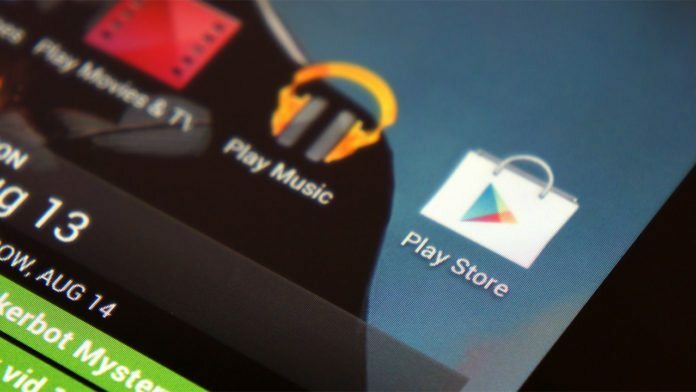 Hence, downloading the applications from the play store will be quicker than earlier. The best thing about the reducing the size of the application is, it does not occupy much storage on your device. So you can able to download more apps regardless of the storage. Google could able to manage to reduce the full apk size up to 47% downloading size earlier. It uses the bsdiff (Binary diff/patch utility) algorithm for reducing the delta size up to 50% when compared with the older algorithm. Using and applying the patches for the binary files, bsdiff produces binary patches up to 50-80 % smaller than the files produced by Xdelta. During the recent announcement Google has mentioned that it found the new way to reduce the file size by 65% off the size of app revision. In some cases, it could also go up to 90% by using the technique File-by-File patching. Most of you all already knew that Android apps were getting the packages as APK’s that can be converted into ZIP files with the special conversions. Using the Deflate technique, the data within the Zip file will be compressed. The uncompressed data will make to identifying the changes makes the compressed output of deflate look different. This will lead to difficult for identifying the compressed content which leads to inefficient patches. Google Play has reduced the usage of this new patching technology for the auto updates for now. This will ensure that the users do not have to wait for the longer time than usual for the update to complete in spite of doing it manually. Google has illustrated scenario with the example on the blog. Imagine you are the author of a book which is about to publish and you have to update the single sentence. It is much easier to mention about this to the editor to change the sentence and what to change rather than sending an entirely new book. 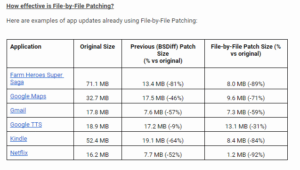 In a similar way, the patches are much smaller and faster for downloading than the entire APK. Drop your comments regarding this move by Google. Stay tuned for more updates.